Pit Stop USA is The Online High Performance Superstore! 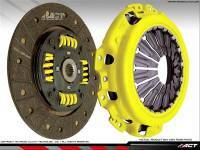 We feature Clutch Kits - AMC/Jeep at low everyday prices. 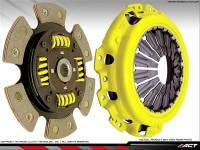 Choosing the right high performance clutch kit allows you to get the power to the pavement. PitStopUSA.com has a great clutch selection for the track or your street machine. Pit Stop USA is The Online High Performance Superstore! We feature Clutch Kits - Honda/Acura at low everyday prices. Pit Stop USA is The Online High Performance Superstore! 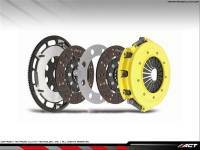 We feature Clutch Kits - Mazda at low everyday prices. Pit Stop USA is The Online High Performance Superstore! We feature Clutch Kits - Nissan at low everyday prices. Pit Stop USA is The Online High Performance Superstore! 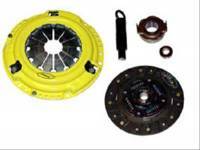 We feature Clutch Kits - Subaru at low everyday prices. Pit Stop USA is The Online High Performance Superstore! We feature Clutch Kits - Toyota at low everyday prices. Pit Stop USA is The Online High Performance Superstore! We feature Infiniti Steel Flywheels at low everyday prices. Pit Stop USA is The Online High Performance Superstore! We feature Mitsubishi Steel Flywheels at low everyday prices. Pit Stop USA is The Online Drag Racing Superstore! Advanced Clutch Technology, Inc., since 1994, has specialized in performance clutches and flywheels for the sport compact, domestic and diesel truck markets. ACTs focus on customer service, quality and performance has earned it an unparalleled reputation in the aftermarket industry. All ACT product is thoroughly researched and tested prior to release to ensure they perform to the customers expectations. This commitment to excellence has resulted in providing racers with championship wins. These standards also ensure ACTs street products provide the performance demanded. PitStopUSA.com features Advanced Clutch Technology products at low everyday prices.